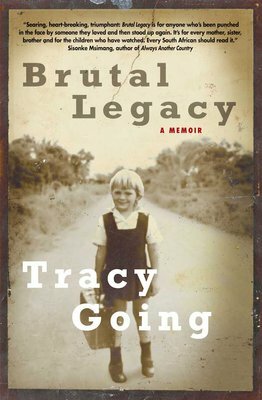 When South Africa’s golden girl of broadcasting, Tracy Going’s battered face was splashed across the media back in the late 1990s, the nation was shocked. South Africans had become accustomed to seeing Going, glamorous and groomed on television or hearing her resonant voice on Radio Metro and Kaya FM. Sensational headlines of a whirlwind love relationship turned horrendously violent threw the “perfect” life of the household star into disarray. What had started off as a fairy-tale romance with a man who appeared to be everything that Going was looking for – charming, handsome and successful – had quickly descended into a violent, abusive relationship. The rosy love cloud burst just five months after meeting her “Prince Charming” when she staggered into the local police station, bruised and battered. A short relationship became a two-and-a-half-year legal ordeal played out in the public eye. In mesmerising detail, Going takes us through the harrowing court process – a system seeped in injustice – her decline into depression, the immediate collapse of her career due to the highly public nature of her assault and the decades-long journey to undo the psychological damages in the search for safety and the reclaiming of self. The roots of violence form the backdrop of the book, tracing Going’s childhood on a plot in Brits, laced with the unpredictable violence of an alcoholic father who regularly terrorised the family with his fists of rage. Brilliantly penned, this highly skilled debut memoir, is ultimately uplifting in the realisation that healing is a lengthy and often arduous process and that self-forgiveness and acceptance is essential in order to fully embrace life.